Facebook is a well-known advertising platform these days. Within it, you can place ads in a user’s Newsfeed and Instant Messenger, as well as Facebook Groups and most recently, they’ve added Facebook Stories to the list! Stories are a huge phenomenon at the moment. They first took off in Snapchat, one of the most popular social media platforms used by the younger generation. Instagram soon followed suit and with its HUGE success, Facebook decided to adopt the feature and bring it on board their GIANT social networking platform. The Stories format is still growing across the board. In fact, stats show that 68% of people say they use stories on at least three apps regularly, and 63% plan to use stories more in the future. So it’s fast becoming a great place to advertise! If you’re advertising on Facebook, you’re most likely cross promoting with ads on Instagram too. And if that’s the case, you’re probably stretching that ad to appear in the Stories space too, right? Well, why not give it a try on Facebook too? All it takes is one extra ✔️ when setting up the placement of your ad. 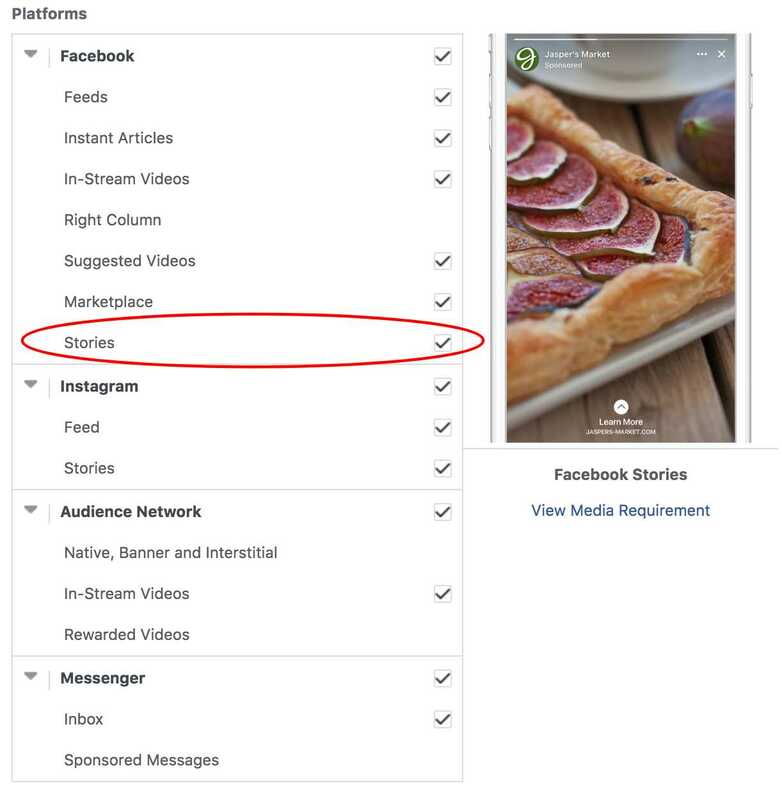 Before you go dismissing it, there is some proven value in Facebook Stories Ads already… let us enlighten you. Facebook tells us that 62% of people said they became more interested in a brand or product after seeing it in a story, and that brands testing Facebook Stories ads are already seeing results. With that in mind, will you test it out?